If you're an avid viewer of 'Saturday Kitchen' on BBC One, like me, then you will be eager to know what's cooking this month and who's cooking it. Four popular Saturday Kitchen presenters take turns this February, with Irish cook Donal Skehan hosting this Saturday. 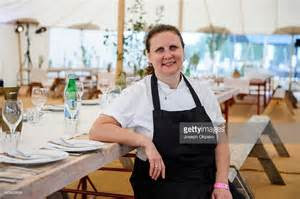 Matt Tebbutt takes over on the 11th, followed by Michel Roux Jr. on the 18th and Angela Hartnett (below) on the 25th. I love her cooking! Don't forget to tune in to the live show each Saturday at 10.00 am on BBC One with the 'Saturday Kitchen Best Bites' on BBC Two on Sunday mornings at 09.45 am. 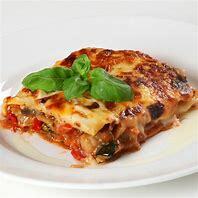 For those Radio 4 lovers, the travelling band of foodies conclude the current series of 'The Kitchen Cabinet' north of the border in Sterling in Scotland at 10.30 am on 11 February. Food historian Dr Anne Grey will join chefs Rachel McCormack, Sue Lawrence and Rob Owen Brown on the panel to answer audience questions on all things culinary. 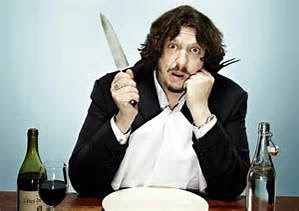 Host Jay Rayner (below) and the team will be back in April with a new series. I can't wait! My thanks to Kathryn Custance for the 'heads-up' on what's cooking on the BBC this month.